If you've been following my Twitter feed, you know that I recently joined the legion of iPod owners with the purchase of an iPod Touch. What you need to know about that is this: I like music. And I really like good music. I discovered music at age 10, when I saved up enough money to buy a set of Koss headphones (the kind with dual volume controls!). I would sit and listen to records all day long during the summer. I listened to the sounds, and tried to figure out how they made them. It was the beginning of a life-long love of music. As I got older, as my income grew, so did my stereo system. I would spend many hours listening intently to all kinds of music. Getting married and having kids made it tougher to find time to listen critically, however. Most of my listening took place in the car, not the greatest hi-fi environment. That is, until now. Now, I'll admit that the iPod is not the pinnacle of high quality audio reproduction. But with a decent set of ear buds (I also picked up a set of Westone UM-1s), it sounds pretty darn good, especially with high bit rate AAC files. One of the first albums I listened to when I got my library loaded up was Steely Dan's Aja. That is arguably one of the finest sounding albums ever made. And it sounds pretty fine on the iPod at 256 Kbs. But then it happened. I started flipping through the rest of my library. I was horrified. What I found was massive amounts of distortion. The kind that makes you go, "Did they really let that out of the studio like that?" Well, upon further investigation, no, they didn't. They did push the signal to within a half-inch of it's life, however. 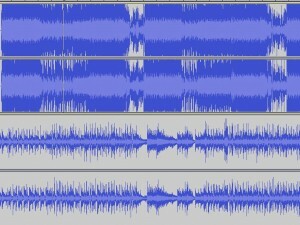 In stark contrast to the first track, in this shot you can see almost 30 dB of variation between maximum peak and RMS values. Even the max peaks never get above -3 dB, which ensures that they never run out of bits. But that's not what I wanted to talk about today, though it serves as a good "opening illustration." Today we're talking about gain structure. I've posted about this before (Ill Gotten Gain), but I think it bears repeating. 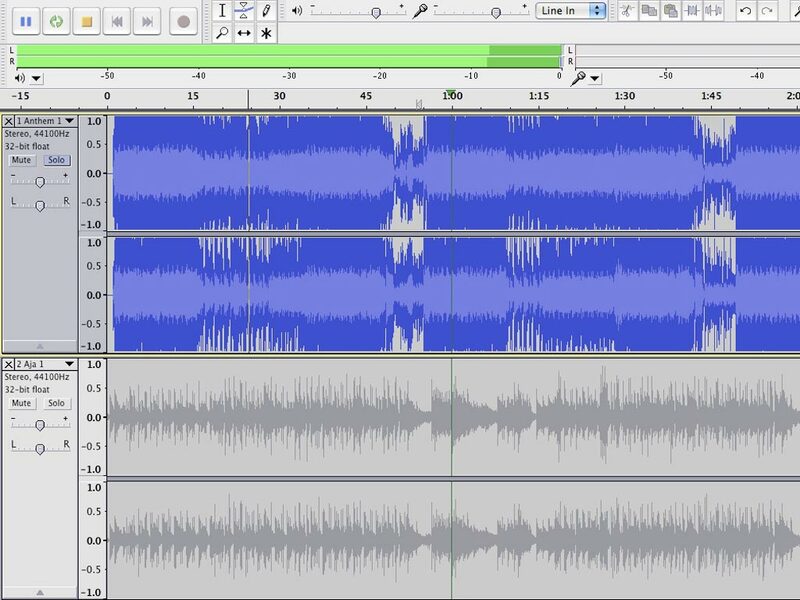 See, if your meter bridge looks anything like the above negative example, you're in trouble, especially if you're mixing on a digital console. All mixing consoles (all audio gear for that matter) has a certain amount of headroom—once that headroom is exceeded, distortion ensues. Typically, the better the equipment, the higher the headroom. A good desk will handle a whole bunch of channels running at +12 dB or more and not sound bad. A cheaper desk will start breaking up once you cross the 0 dB threshold. The key is to find out where your board (or outboard gear) sounds bad, and back off. Do not exceed that level—ever! It's just as important (perhaps more so) to get the gain on the input set correctly. 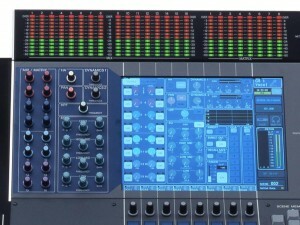 Each channel of a mixer has a gain control (aka head amp, trim, input gain, etc). 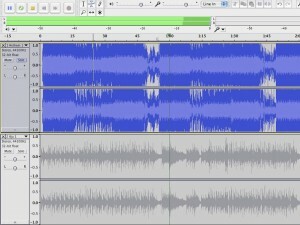 This needs to be set correctly each and every time you mix. I've seen guys do an entire sound check and never touch the head amp control; they just bring faders up to a "good" level in house and call it a sound check. Wrong, wrong, wrong! 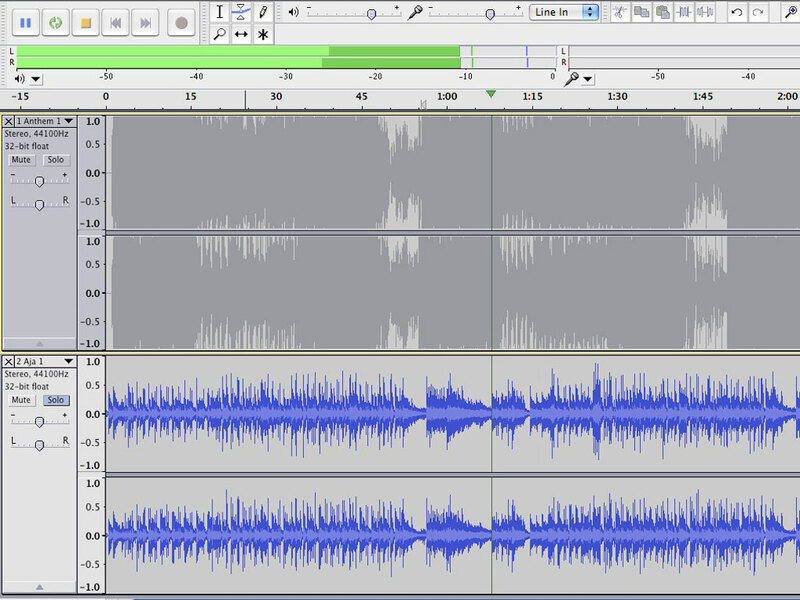 The correct way to do it is to meter the input, either on a meter bridge or through the cue function, and dial up the gain until the peaks are hitting at least 6 dB down from your maximum (distortion inducing) level. On a digital desk, you typically want to start with your peaks somewhere between -10 and -6. I like to start a little low during sound check because inevitably the levels go up during the service. 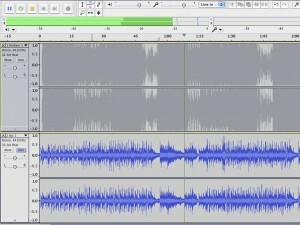 Once you establish your input gain, then adjust the fader for a decent level in the house and work on monitors. And I also noticed that the meters on the PSM-700s were pretty much lit into the red. The musicians kept asking for more of stuff and the sound guys obliged by just turning it up. When we checked to see where the musicians had the volume on their packs, many were set to between 2-4 (out of 10!). Once they turned up to 6-8, we dialed back the level and everyone was amazed at how much better it sounded. Here's the deal: With digital there are only so many bits available to make up the signal. Once you run out of them (ie. turning it up to 11...), you're out of them—they don't make more. Distortion comes quickly at that point. Even analog boards will suffer this fate, though it sounds different (and not necessarily better). 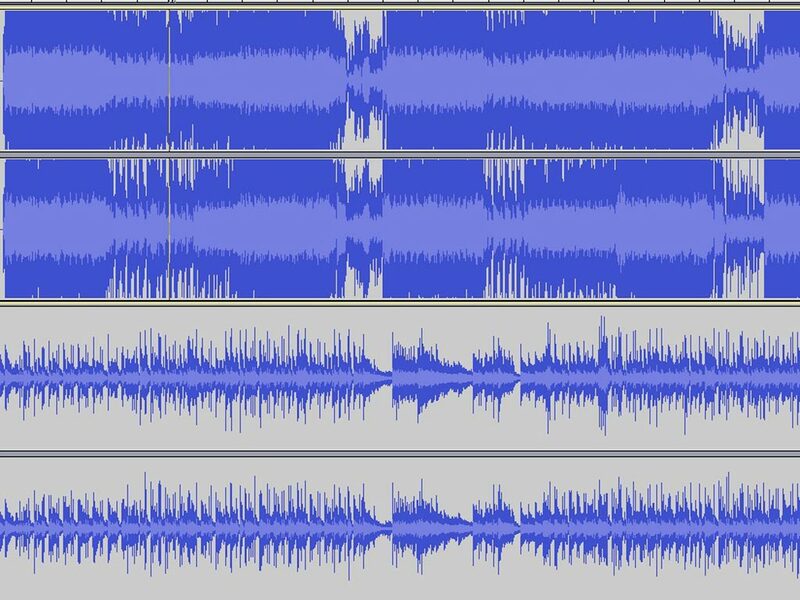 Thinking back to the discussion about modern CDs, I can picture a bunch of young guys sitting in the studio mixing a track and watching the meters all light up red and saying, "Dude! Check it out! We're crankin'!" Sadly, it sounds bad, but it's loud. If you remember nothing else from this post, remember this: Louder is not better, better is better. And you can't get to better unless you pay attention to your gain structure. For more on this topic, check out my previous post on the subject, Ill Gotten Gain.